I love when I'm on vacation & locals help map out a scenic drive or list of some cool spots to see while in the area. 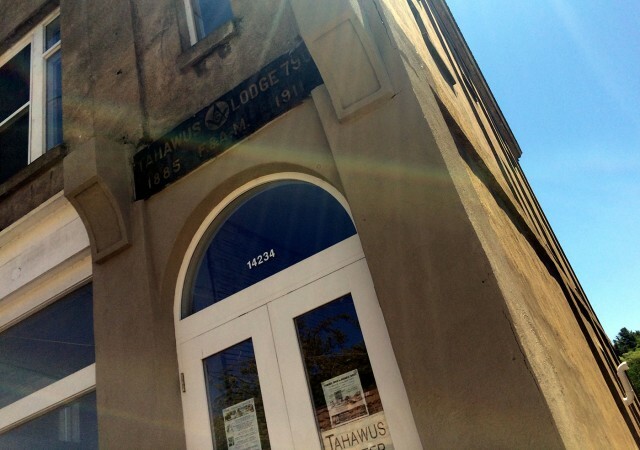 This blog recently took me on the path of one of my favorite scenic drives and into a world of arts & entertainment I had not fully experienced yet, even though it is right in my own backyard. It's so cool how my blogs have opened new doors for me. So I'm going to share this scenic drive with you and detail my stops along the way in hopes you'll find it useful on your next visit to the Whiteface Region of the Adirondacks. For years I’ve been losing friends to this beautiful area of the Adirondacks. By losing, I just mean I rarely see them anywhere else. They seem to move there, love it & stay. I catch up with them during the winters at Whiteface Mountain Ski Area, and in the summer at backyard barbecues and for live music, plus the occasional swim at the rapids. After taking a day to stop into some of the area shops & speak with some of the local artisans it really started to resonate with me why people move here and call it home. Each stop gives you a little taste of what it means to live in this area of the Adirondacks. So, let's begin the tour. I think a good first step to this trip is with breakfast! What vacation doesn’t include a good bite to eat? And didn’t your parents always tell you to start the day with a good meal? 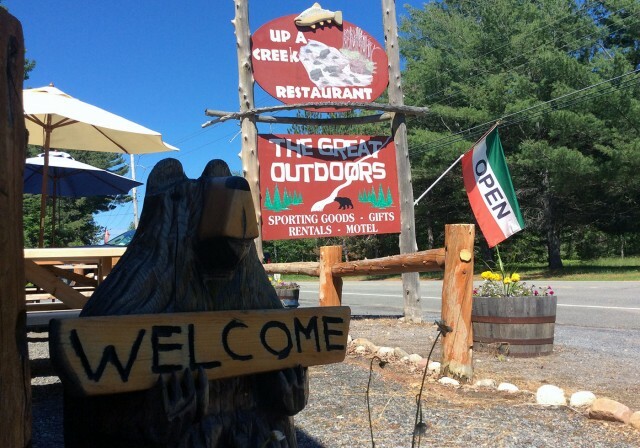 Check out dining in the Whiteface Region, and consider starting your day at the Country Bear or at Up A Creek Restaurant. My girlfriends & I will go the Country Bear after a morning on the mountain. Some days we’ll meet, take some runs, hit the Bear for breakfast, and then head back to Lake Placid and get on with our day. In the summer it's a great morning stop for my husband and I on our way through town on our motorbikes. They offer a variety of daily specials and delicious baked goods. After you’ve fueled up I suggest a stop to see Michelle and her staff at the Whiteface Visitors Bureau. They can help you plan out your day - or your stay, and let you know what’s going on and what not to miss. They also have a variety of maps and information on area activities, events and more. Heading out of town on 86 towards Jay you’ll see Mulvey’s Adirondack Farm Market on your left just a few miles down the road. 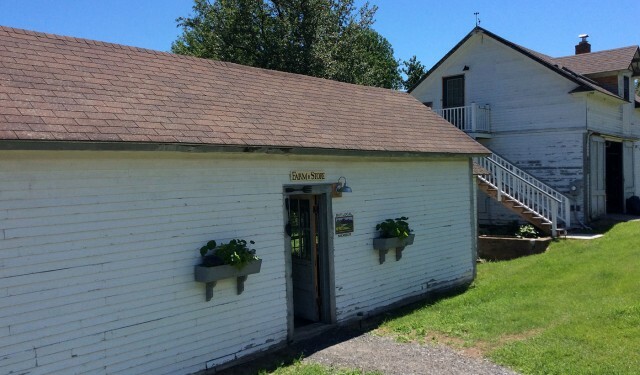 This farm market is a great stop for local produce and homemade goods. As you continue back along 86 make sure not to miss the view to the right of the large field and Whiteface Mountain in the background (see photo at top of blog). It is one of my favorite views. Continue past the field up a windy hill, past the old ski area, and you will find yourself on a long straight downhill. About 3/4 of a way down the downhill you will see the Young’s Studio & Gallery on your right. It looks like a residential home, but if you look closer, you’ll see the tile mosaic on the wall, usually some pottery drying out in the summer air and a door on the building to the right beckoning you to see what’s behind it. I have driven past this place for years and always thought about it but never took the time to stop. 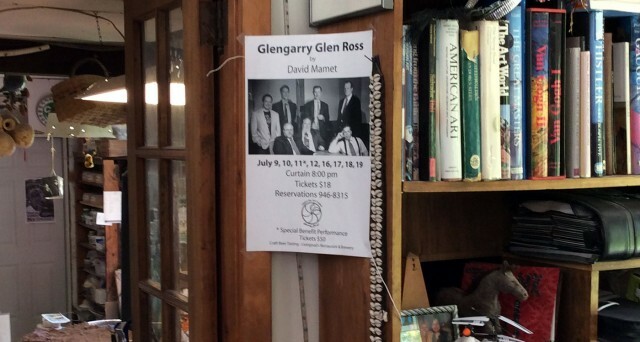 I parked my car and as I approached the entrance I realized quickly how their little shop was much, much more than I had expected. As I entered I was greeted by owners & artists, Sue & Terry Young. I will let some of the photos from my trip speak for themselves. This well-lit space was designed most appropriately to showcase a variety of pottery, prints and other handmade crafts. 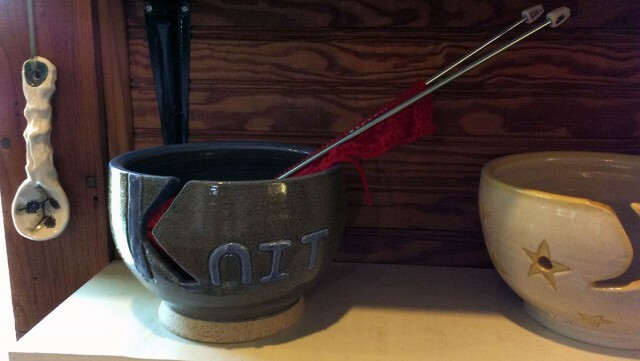 Many of the pottery items are as functional as they are beautiful. …the ones on the left they call the Hipster Water Bottle, and I couldn’t help myself I had to purchase it and try it out for myself. And I've always wanted a French butter keeper. 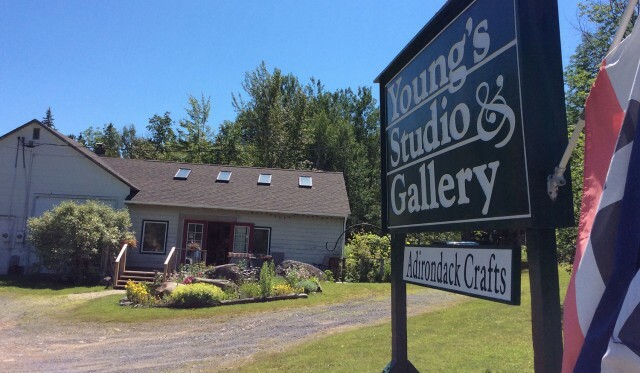 Sue & Terry Young have been here creating and selling art for 33 years, stop in and see them the next time you're in Wilmington/Whiteface/Jay! Back in the car you’ll quickly see the At River’s Edge Emporium on the left - they recently relocated here, the Visitors Center highly recommended this as a stop for local goods, foods and crafts. **ART GALLERY OPTION for now or later. Heading to the bottom of the hill you hit a stop sign - you are in Jay with Ausable Forks to your left and Upper Jay to your right. To your immediate right you will see Adirondack Magazine’s office (what a fitting setting for such an amazing magazine!) and just past that is the Jay Craft Center. 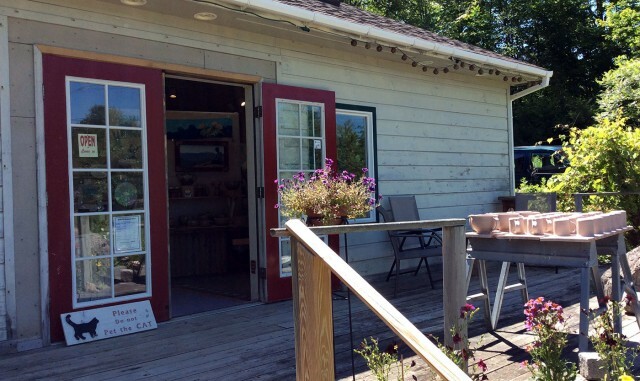 If you’re still feeling crafty you can visit it now - or you can take the scenic drive up to Ausable Forks and hit up the Jay Craft Center on your way back through to Upper Jay. We will save it for later in my description. If you’d like to make your drive a loop so you aren’t taking the same roads twice, I recommend taking Stickney Bridge to Ausable Forks, get off the beaten path and go explore a bit. (However the view is different from each direction so if you decide to take 9N you won’t be dissapointed.) Head across Route 9N to Stickney Bridge Road. You will see the Jay Bridge on your way. This is a great stop to get out of the car and stretch your legs. While you can’t drive across it, it is well worth the time to stop and take a stroll across it. During the warm summer months you will see locals and visitors playing in the rapids, swimming, fishing and just hanging out. Take your time and take it all in. 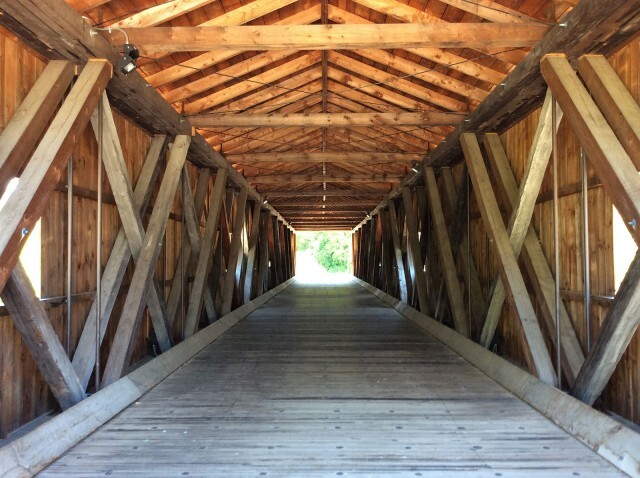 Hopping on Stickney Bridge road you will weave and wind your way past farms, mountains and beautiful Adirondack countryside. Stickney Bridge Road ends, so bring map or GPS to take the last couple turns onto Sheldrake Road and then down Kent Way to Asgaard Farm. Visit Asgaard’s Farm Store for their amazing farmstead goat cheeses, homemade goat milk caramels, meats, soaps and wood products. The farm’s setting and buildings are reason enough for a visit. Also look for them at area farmers' markets. Asgaard means “farm of the gods,” and this title was given by early 1900s owner and well-known artist, Rockwell Kent. Note: check the store hours before you go. Right now they are Thursdays 2pm-6pm & Saturdays 10am-2pm. Leaving the farm continue on Sheldrake Rd & over the Jersey Bridge (and Ausable River) into downtown Ausable Forks. Near the end of Main Street (right before the next bridge) on your right you will see the Tahawus Art Center. Visit the art center or look into some of their classes. Next door is the Hollywood Movie Theatre - great for an evening flick. Return South on Route 9N. 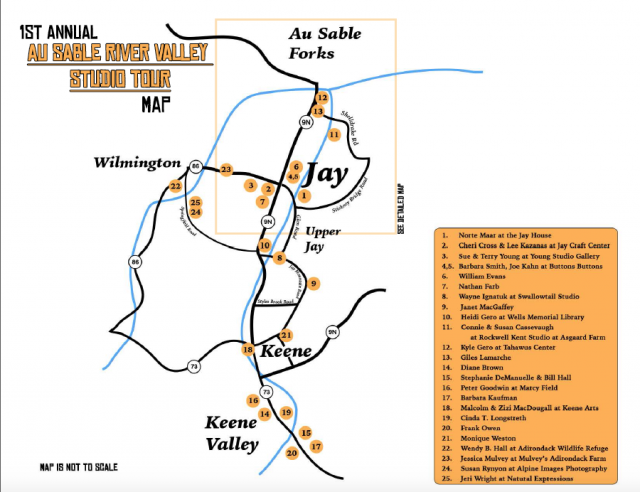 Most of its path follows along the river, enjoy the twisting roads and expansive fields and watch how they turn into foothills & the Adirondack mountains. As you arrive back in Jay watch for other artsy treats like the Alpaca Store (on your left as you come through town). Now, as you reach the intersection for Lake Placid & Wilmington, you will see the Village Green on your left (home to many weekly summer concerts) and the inviting red house of the Jay Craft Center. **This is where the option from above plays in. Entering the Jay Craft Center I'm greeted by owner and artist Cheri Cross. 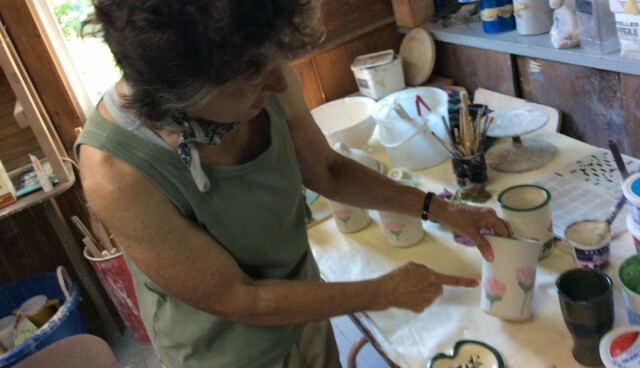 She and her husband have been here making art since the 70s. They love it here and their well-appointed gallery shows they love what they do. 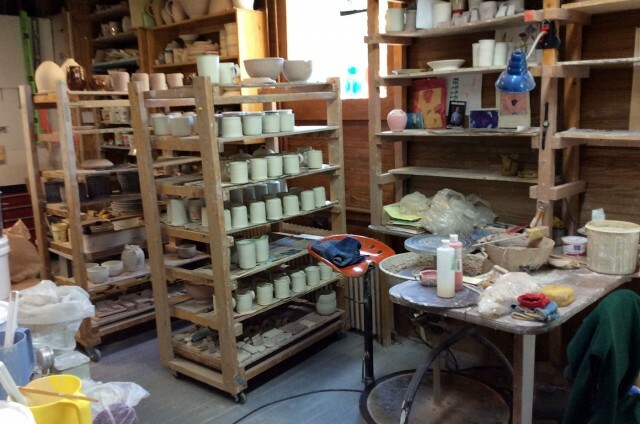 It is full of beautiful pottery and as with Young's studio, much of it is functional art as well. I love it! Cheri gave me a tour of her studio and showed me some of the pieces and new designs she's working on. Cheri and her husband also spend time at a friend's studio down in the southern states. 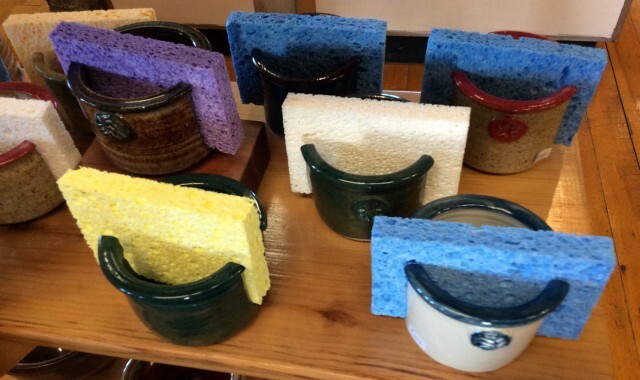 He has a large wood-burning salt kiln that produces a beautiful one-of-a-kind finish. They enjoy the inspiration of traveling and working in two different locations and interacting with different artists. 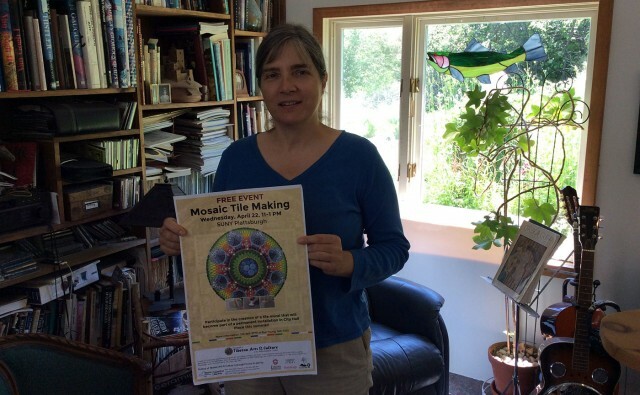 I really enjoyed talking with her about her craft. Continue down Route 9N to Upper Jay, I love this part of the drive right along the water, I find it so relaxing. As you arrive in Upper Jay the entrance to Sugar House Creamery is on the right. You drive up past the farm house and immediately see some cool looking white barns. The farm stand is to the left. The farm stand is stocked with fresh milk, cheeses, some crafts and photos. Purchases are made on the honor system - honest! You purchase what you want and leave your money in the drawer. You pay the deposit on the old-time glass jars and take your deposit upon returning it. It's a beautiful little space and the freshness of their products speak for themselves. Have the kids along? 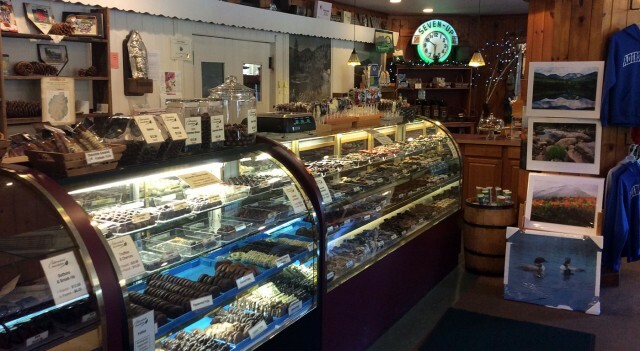 Check out this blog that details a bit more about what the Creamery has to offer. Definitely a fun stop for a scenic day drive. 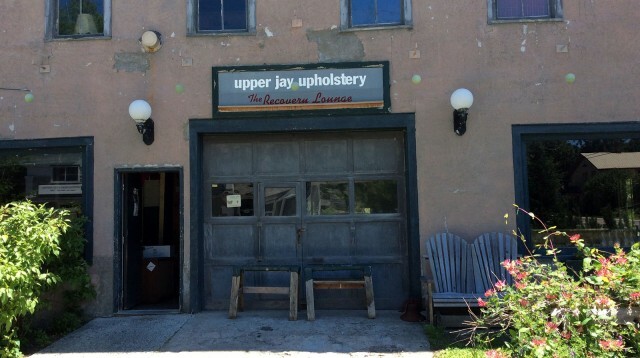 Heading on Route 9N you will see the Recovery Lounge on your left; an upholstery shop by day and local hangout by night. The large open space on the 1st floor is transformed to accommodate whatever event they have going on. 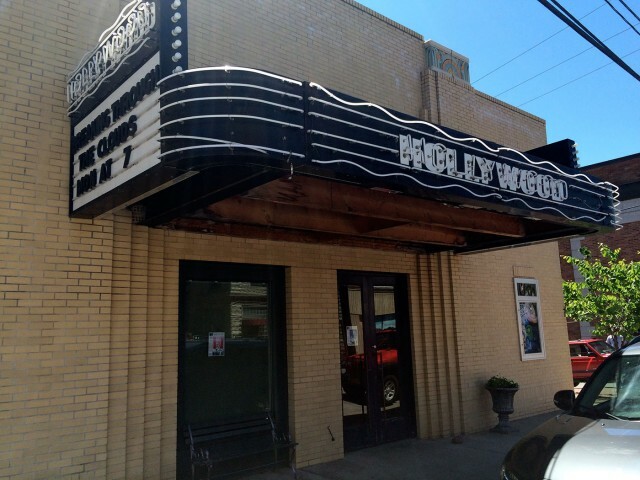 Here you will find plays and live music on select evenings, everything from local bands, relaxed jams, and bands visiting from NYC and beyond. Definitely a cool place to go on this tour! 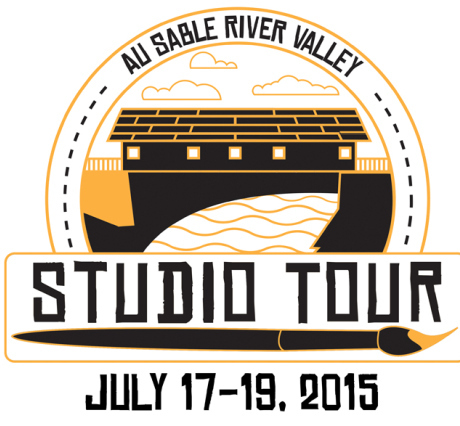 Visit the Upper Jay Art Center website for details. To finish your loop take a right (across from The Recovery Lounge) on Mountain Meadows Way (/12/Springfield Road). You will find the name changes as you drive. Pass Hardy Road on your right (home of Hardy Road Trails - great for hiking and mountain biking!). Take a left onto 12A / Fox Farm Road, this will take you out to 86 with Whiteface Mountain Ski Area to your left, but we will be heading right - back into downtown Wilmington. At the intersection fishing buffs might want to make a stop across the street at the Hungry Trout Fly Shop, or turn right and continue down to The Great Outdoors Shop. 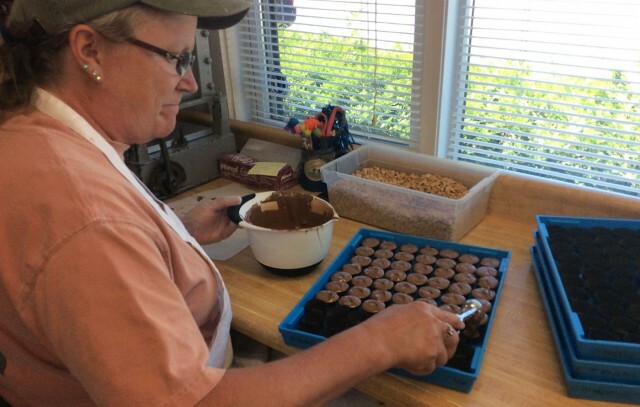 Finally the sweetest stop on the art tour is the Candy Man Homemade Adirondack Chocolates & Gift Shop, stop in and see the beautiful work they do with their chocolate making. The shop has Adirondack wares as well.